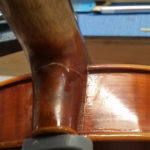 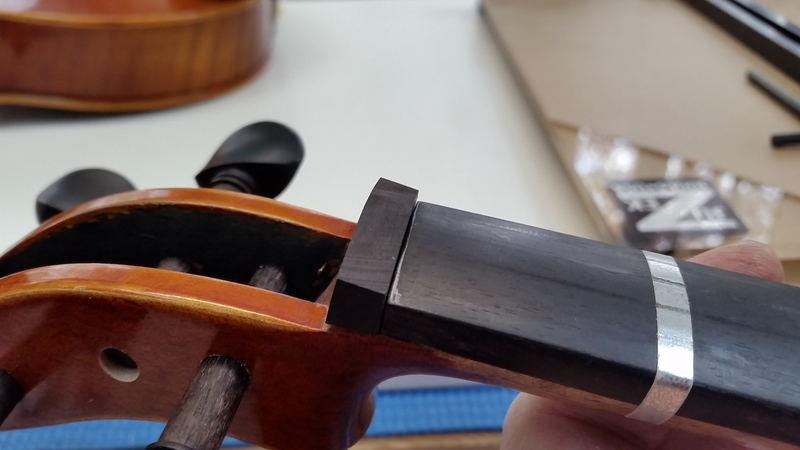 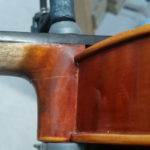 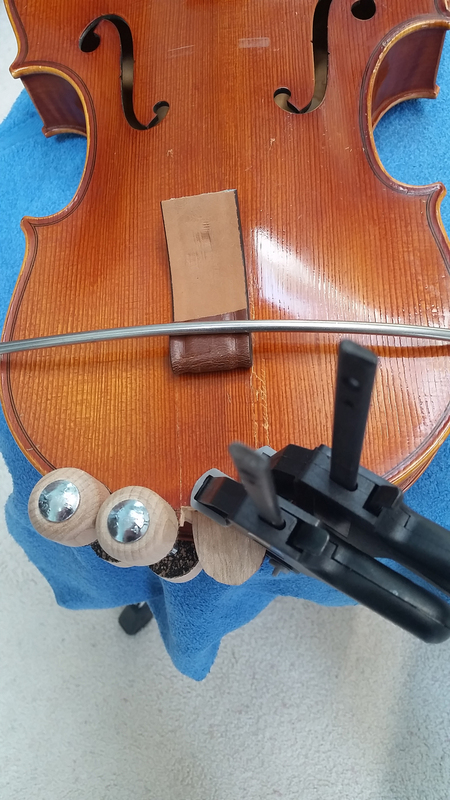 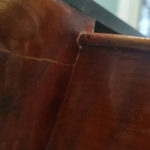 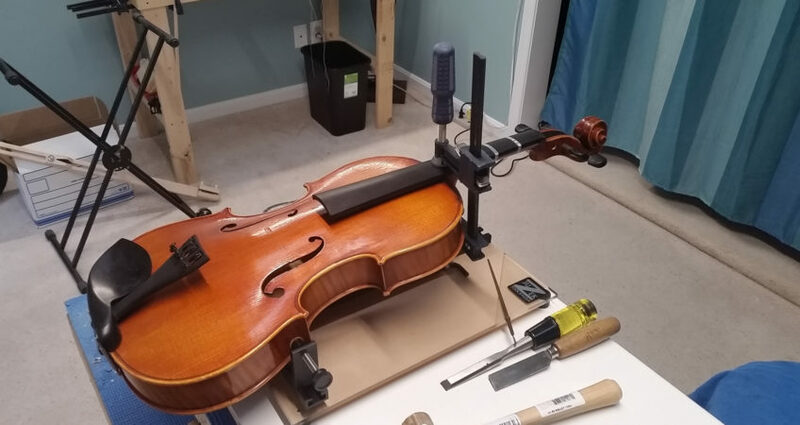 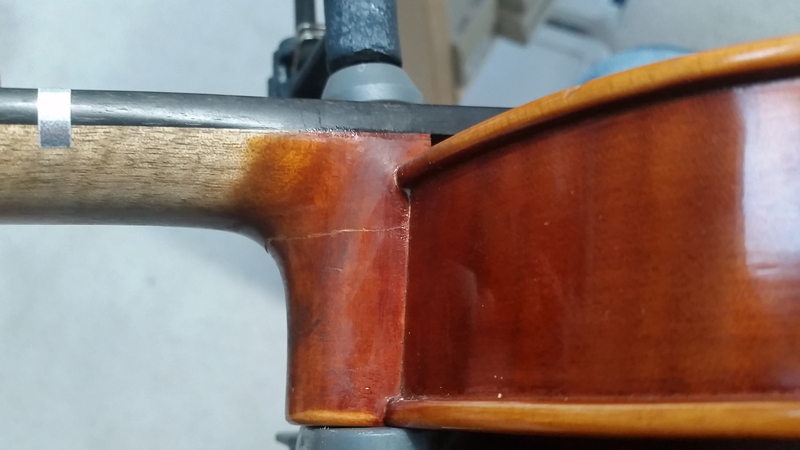 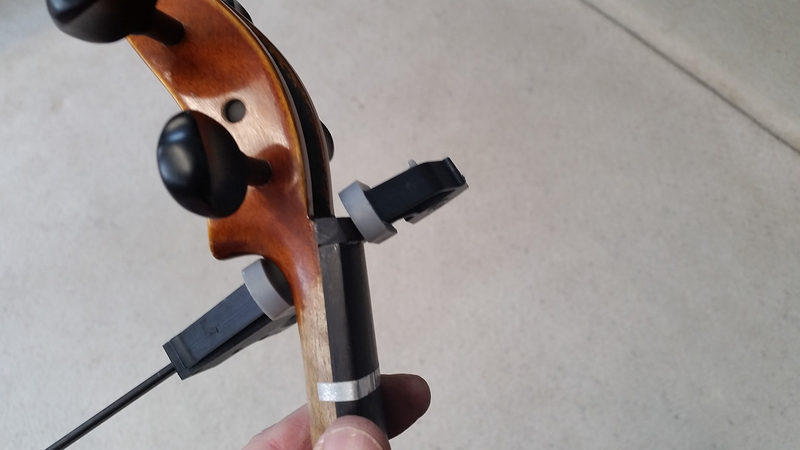 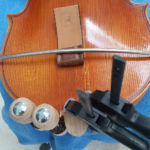 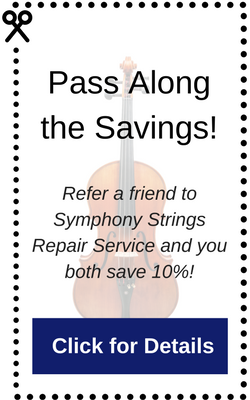 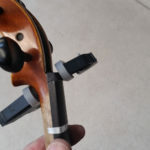 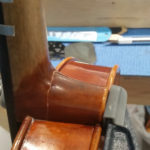 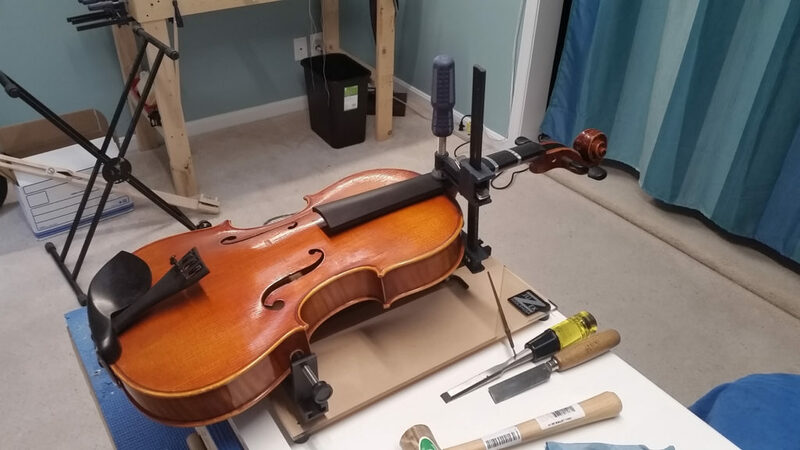 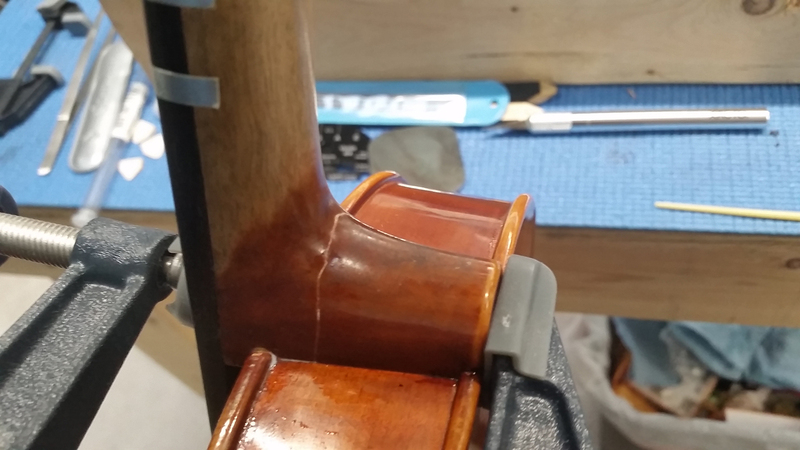 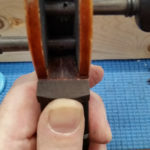 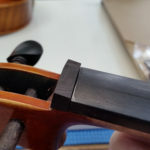 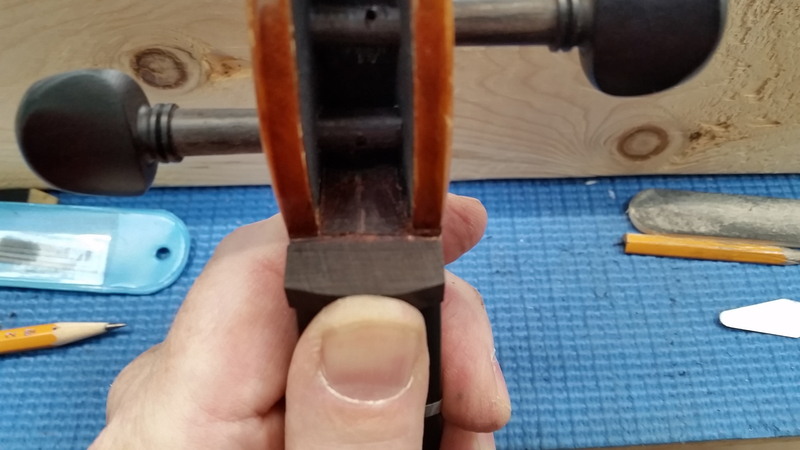 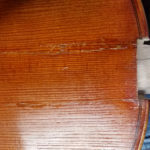 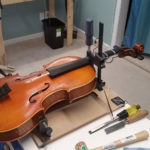 A local strings teacher was ready to throw out a broken viola. 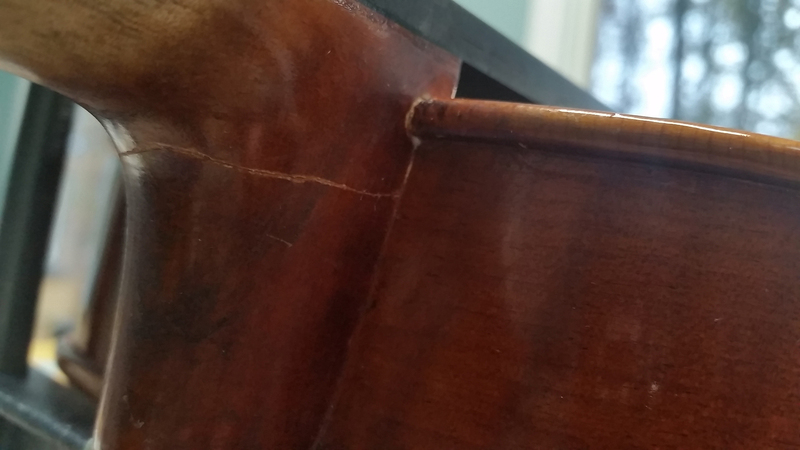 Top cracks, broken neck, missing nut. 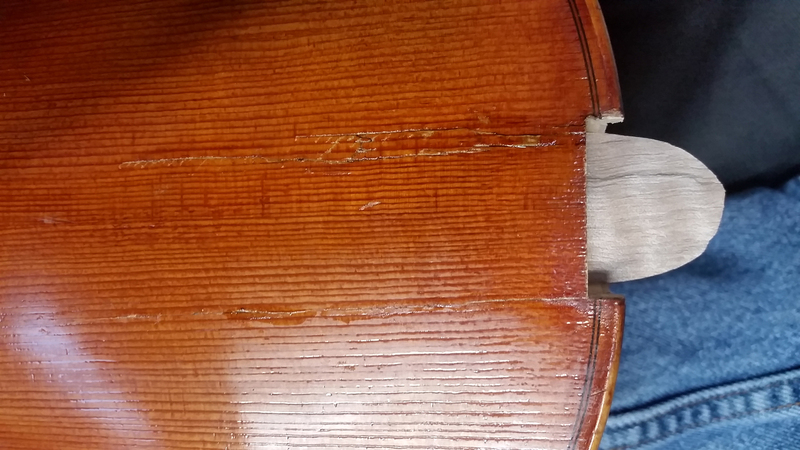 Many issues, but still repairable. 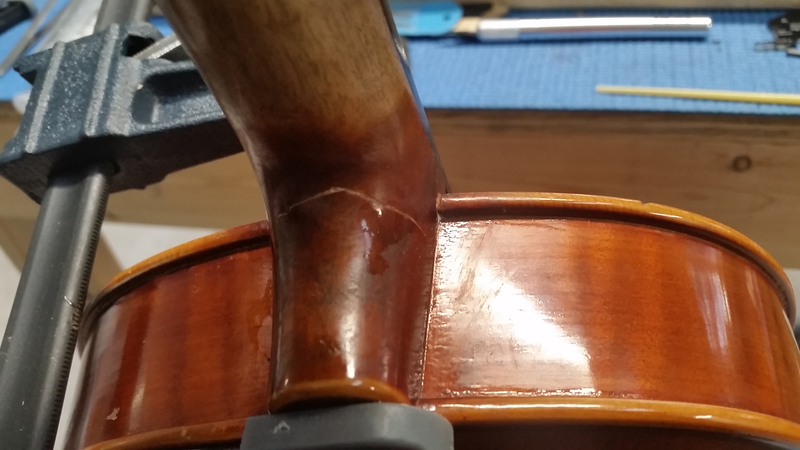 It was enjoyable to bring this nice viola back to a useful life.